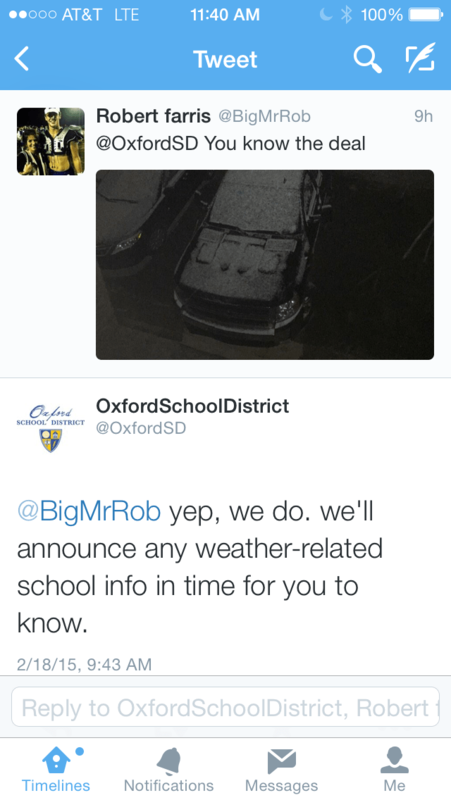 When students at Oxford High School woke up on Wednesday, they saw snow on the ground causing many to believe school would be cancelled. 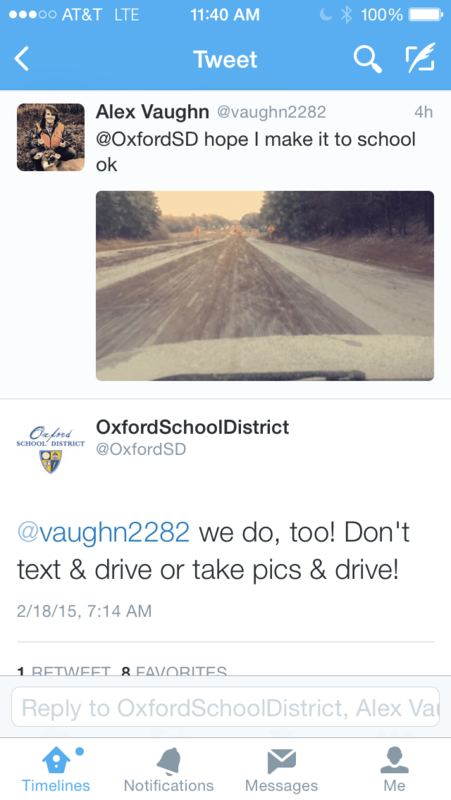 When school was not cancelled or delayed, many took to Twitter complaining about the snow and tagging the Oxford School District Twitter account in their tweets. 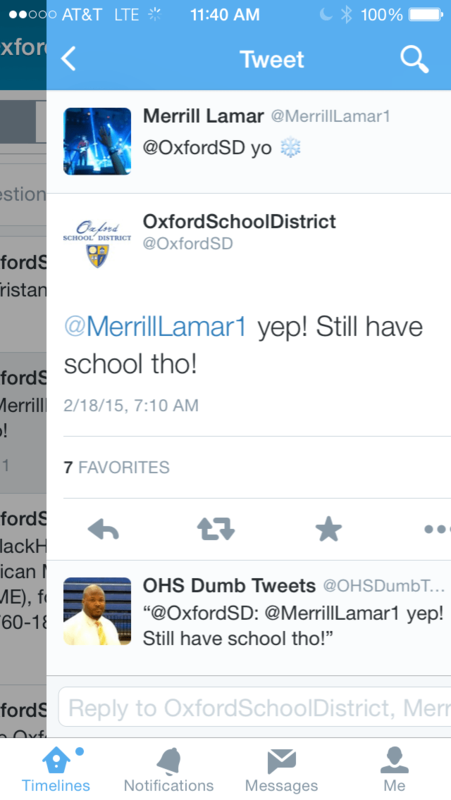 Instead of ignoring the complaints, Oxford School District’s Communications Coordinator Kelly Graeber tweeted back. Graeber wanted to make sure the tweets were light-hearted as she was aware of the feelings the students had regarding the weather. Graeber also explained that she as well as the district want to stay in touch with the community and that Twitter is a great way to do so.